Snuggled between two fine lakes, the quaint Maine village of Belfry gets by on its own good looks and the free-flapping wallets of annoying summer tourists. Here, locals struggle to learn far more about each other than is necessary and face all things new with great caution. The formula works fine for everyday life, but not for a murder under their very noses, and certainly not for a sudden deluge of folding money. 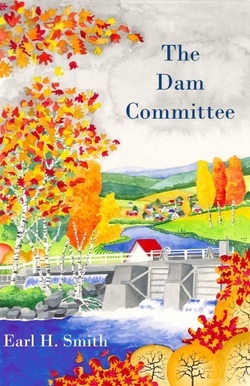 "THE DAM COMMITTEE is a charming, funny, and gripping tale of the life and crime of small-town Maine. His Belfry, Maine, has wonderfully drawn small-town characters, nefarious bad guys, and a suitcase full of cold cash. THE DAM COMMITTEE is a delight. 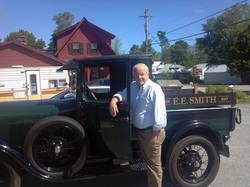 My hope is that Smith, with his understated wit and eye for detail, has another book in the hopper just like this one." Gerry Boyle, crime novelist and author of PORT CITY BLACK AND WHITE.